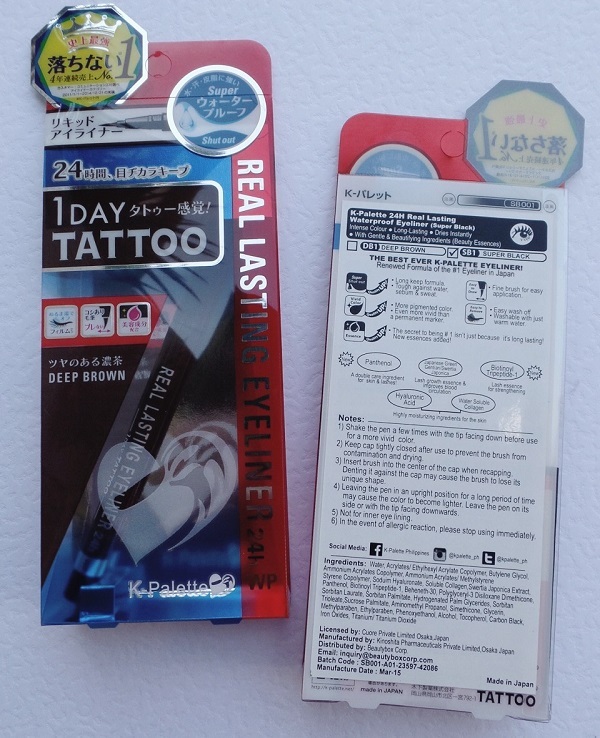 When it comes to liquid eyeliner, I've long come to accept that K-Palette's Real Lasting Eyeliner 24H WP tops my list. It stays in place all day (!!! ), comes in different tip thicknesses, economical (used everyday, a pen lasts me 2-3 months), and available in stores nationwide and online. Recently, K-Palette's sent me what they claim to be their best formula to date and I was like, "really? It can be further improved?". Super Shut Out -- Long keep formula that's tough against water, sebum, and sweat. Essence -- Panthenol is added as a double caring ingredient for the skin and lashes, Hyaluronic Acid + Water Solluble Collagen acts as a super moisturizer for the skin, Japanese Green Gentian/Swertia Japonica is tossed in as a lash growth essence that also improves blood circulation, and Biotinoyl Tripeptide-1 strengthens the lashes. Trying it out, application wise, I couldn't feel or see a difference -- which is great because I already love the older formula as is. Its fine brush perfectly delivers the lines I draw on my peepers day after day. I can't say much on the new formula just yet because its effect I'd say is long term. 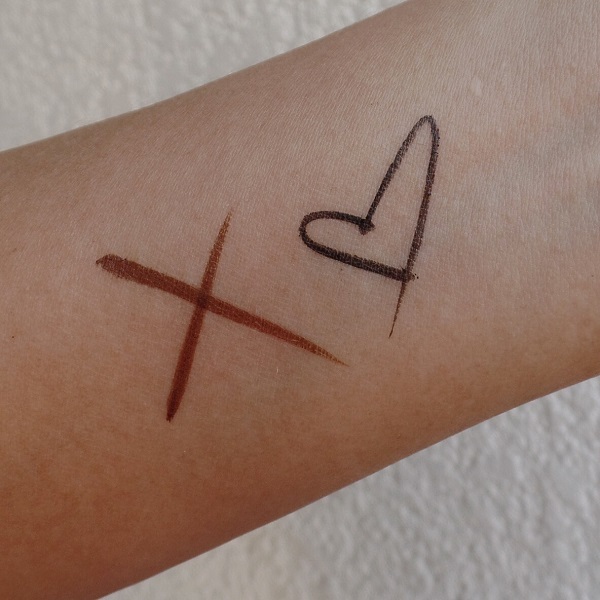 Pigmentation wise -- WOW it sure is very bold and vivid! Too, the pen's "ink" still doesn't sting my eyes and it can still be easily washed off by warm water. LOVE! 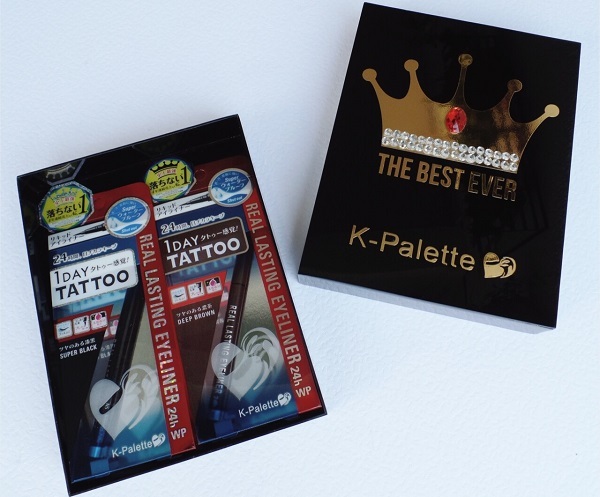 The best ever K-Palette Real Lasting Eyeliner 24H WP (Php 795 each) is available at Beauty Bar (nationwide and online), select Watsons branches, and Rustan's The Beauty Source at ATC, Makati, and Shangri-La. 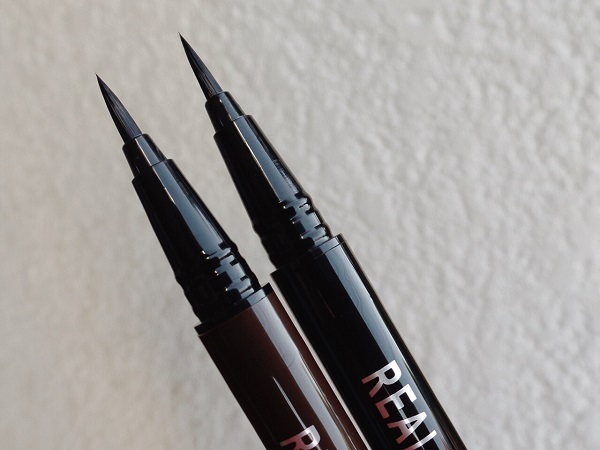 1 comment on "An Ode To The Best Ever K-Palette Real Lasting Eyeliner (to date)"
Ok, I'm sold. This is next on my list. Coz I'm not happy with my current eyeliner. currently using Mac Pro longwear eyeliner pencil in Definedly Black, kainis ang dali maputol!